What comes into your mind when you think about Tuscany? I bet there are the smooth hills bathed in the warm sun, locals living their lives at a slow pace, scenic landscapes and of course, wine. And to be more specific this is the rural Tuscany I’ve been planning to visit for some time now. It didn’t happen to be a planned and documented trip, instead I decided to go spontaneously with Radu and Louise, a seasoned Tuscany traveller. WizzAir has cheap fares on the route Cluj-Napoca → Bologna and from there, Tuscany is just a scenic road trip away. Tip #1 : Probably you’ve heard this before but it won’t hurt to ‘hear’ it again: car rental is cheaper if you purchase it online from home. Also, don’t be that skeptical on cheaper car rentals with bad reviews. People don’t usually read the policies and especially in Italy they get expensive one or more speeding fines and then blame the company for over charging. Here are roughly the hotspots of our trip, including the three campings we’ve stopped over. Little Tuscan planet on our way. And the road towards it. A very well preserved town with great architecture and distinctive towers. 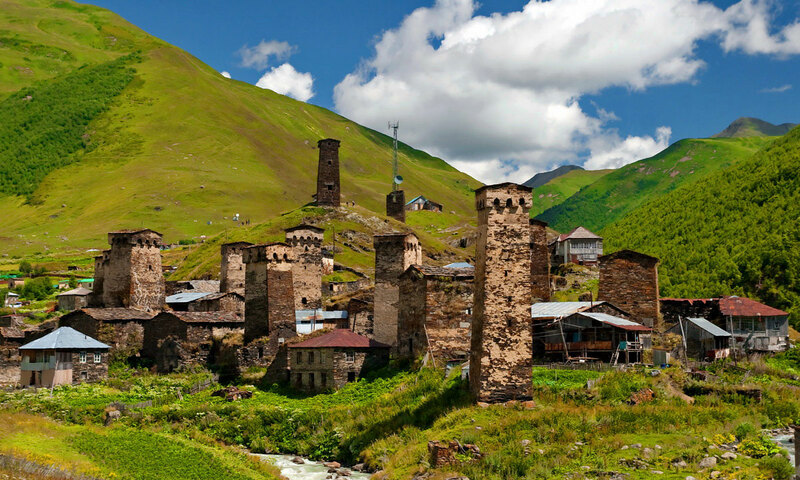 Fun fact that is twinned with the city of Mestia, Georgia. Must be the towers,right? Men, not knowing what women want since 3000 BC. Tip #3 : Wake up early. Chances are that you will be just a short walk from great foggy views. While driving towards the next destination, we ended up pulling the car over,at times, even every 15-20 minutes because there was always something pretty on our way. Charming walled medieval town proudly rising on a hill. Behind the imposant towers compared by Dante Alighieri with “horrific giants” life is untroubled: cobble streets, boutiques and seldom tourists sipping their wine in the shadow. Fun fact: Monteriggioni was not surrounded by water, but by coal which would have been lit in case of attack. Souvenir magnet with popular cute painting ; couldn’t find the artist name. Quiet tiny village (population 30 according to wikipedia) popular for its hot springs and with its main plaza, Piazza delle Sorgenti, actually a huge pool. The transparent metal wire sculptures are magical nymphs that fit discretly in the sight. Supposedly, they look even more mythical when it’s cold outside and steam rises from the hot water. A cosy little library in the center that worths a visit. We decided to leave the car behind and walk a very tiny fraction from what Via Francigena means: an ancient road and pilgrim route running from Canterbury to Rome (1900 km, out of which Tuscany covers about 350 km). While not as popular as Camino de Santiago, thousands of tourists walk, bike or even horse ride Tuscan sections of Via Francigena each year, fuelled by unique landscapes and rustic food and drinks. We left the car in San Quirico, took the bus to Pienza and walk back about 10 km on Via Francigena. Pienza, the birth place of Pope Pius II, was partially modelled to be an ideal renaissance city, with beautiful squares, narrow streets and a benchmark for Renaissance urbanism. Just South of Pienza walls, the landscape changes: so far we have seen mostly forests and vineyards, while here the wheat fields start to become dominant. The Terrapille farmhouse and cypress road is one of the locations where the movie Gladiator was filmed. Tip #5 : If you’re more into the landscapes, definitely plan your trip according to the golden hours. Solitary trees are a common sight. The Madonna di Vitaleta Chapel is one of the most photographed sights in Tuscany. It impresses with its small dimension, simplicity and harmony with the cypresses and nature surrounding it.